At summer I wanted to try something new and small. I found this Bavarian crochet little bag from Simply Crochet magazine, number 53. The size of the bag is 17 cm x 17 cm. 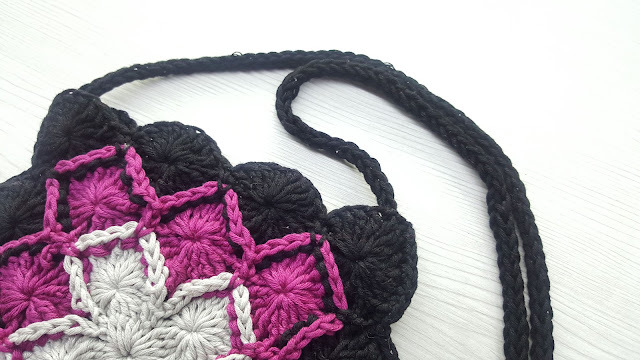 The strap is crochet i-cord. This was my second top last summer. More about the first one can be found from here. This top was little bit trickier than the first one. I wanted it to be more shaped. I think I succeed it very well. Of course I did a swatch and I calculated all the required stitches. Well, I needed to crochet and frog few times but the outcome was worth it. I like this top a lot! I am pleased that I managed to crochet a garment with some shape on it :) I am not happy about my yarn choice though. The Austermann is very "hard" yarn. It was easy to crochet with but I noticed in the end that some other kind of yarn would have been better in this case. Yarn with more drape in it? 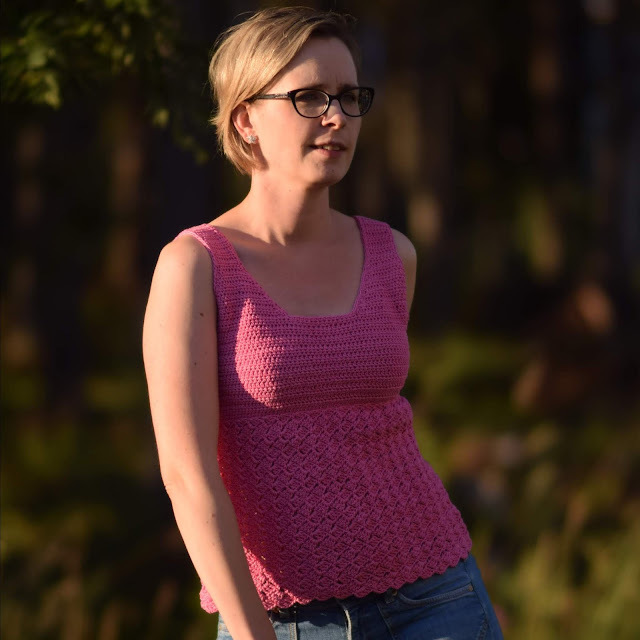 Perhaps I will do this top again for next summer with different yarn.